First of all, I’d like to thank NirogStreet for this conversation with me. I have done my schooling from C.B.S.E., New Delhi. Although I was the 2nd topper of my school, unfortunately I could not clear my All India Pre-Medical Test with high ranking. So I chose Ayurveda instead and opted to study B.A.M.S. I studied and completed my B.A.M.S. with internship from Chaudhary Brahm Prakash Ayurvedic Charak Sansthan, New Delhi. After internship I started my professional journey with Patanjali Chikitsalaya which gave me a very nice platform to learn as well as to practice. Ayurveda makes me believe in miracle. I am proud to tell you that during my undergraduate studies my conviction in Ayurveda shaped up really well and it made me choose ayurvedic practices later on. The doctors of my hospital and their treatment methods and the miracles I saw there also made me choose ayurvedic practices. I saw a quadriplegic patient during my 1st year. He could not even move a little bit. I witnessed him recovering only because of Ayurveda and Panchkarma and he got fully cured by the time I was in the 3rd semester. After this incident, I made my mind that I would surely learn Ayurveda with all my heart and choose to do pure ayurvedic practice. When I started practising, I faced some difficulties. No doubt, patients took Ayurveda treatment but they always asked whether they would get the relief or not. I very randomly saw any patient asking this question to an allopathic practitioner. When I was young, I too never used to ask this from the doctor I visited. Over time my practice progressed and once I treated a patient having chronic renal failure whose creatinine level was 15.6 and after two months it came down to 7.4. He was no more dependent on dialysis. After that day, patients started believing in me and the Ayurvedic treatment. The good word spread I suppose. It made me more confident and dedicated toward Ayurveda. If it comes to challenges, everyone has to face some in beginning of their careers, so did I. As we all know, people do not so easily believe in Ayurveda. It is so much challenging to treat them and make them believe in healing power of Ayurvedic medicines at the same time as everyone wants immediate results. Yes I faced such a situation often as, for example, people never like to take kwath (decoction). And they never want to take more medicines. They want the remedy with just one or two medicines. How good is Ayurveda Medicine as a career for women? Ayurveda is the best choice as a career for women. Ayurveda is a highly regarded system of medicine and the career is more than just respectable. It gives us the opportunity of self employment and the choice of our own working hours. Do you think it makes them well-empowered and independent? As I said above, yes, it makes us well-empowered and self-dependent. It gives us an opportunity to prove ourselves as the best physicians. Health care for the ailing humanity is always a great responsibility. It is a noble profession and facilitates a financial stability too. Only Ayurveda can fulfill the definition of health. Yes, the traditional medicines are effective and sufficient to cure the diseases. World Health Organisation defines traditional medicines as the sum total of knowledge , skills , and practices based on theory, beliefs, and experiences indigenous to different cultures, instrumental jn the maintenance of health as well as the prevention, diagnosis, and treatment of physical and mental illness. Past , present and future of Ayurveda is very golden. Nowadays people depend on Ayurvedic treatment for a lot of diseases. Pathophysiological evaluation of duranta erecta for the treatment of urolithiasis is the best example of the role of Ayurveda in integrated medicines. Planning effective treatment of diseases requires addressing all the factors together fully and integratively. Ayurveda is hoping to offer a new route to healthy lifestyle treatment and also to the discovery, development, and delivery of the new drugs with better safety and efficacy at a significantly reduced price. Ayurveda also suggests lifestyle modification, meditation yoga, and naturopathy, which in turn lead to further evidence-based researches to gain wider acceptance in the interest of public. The integrative medicine approach recently re-emerged with the hope of providing an affordable resolution to the global healthcare crisis. 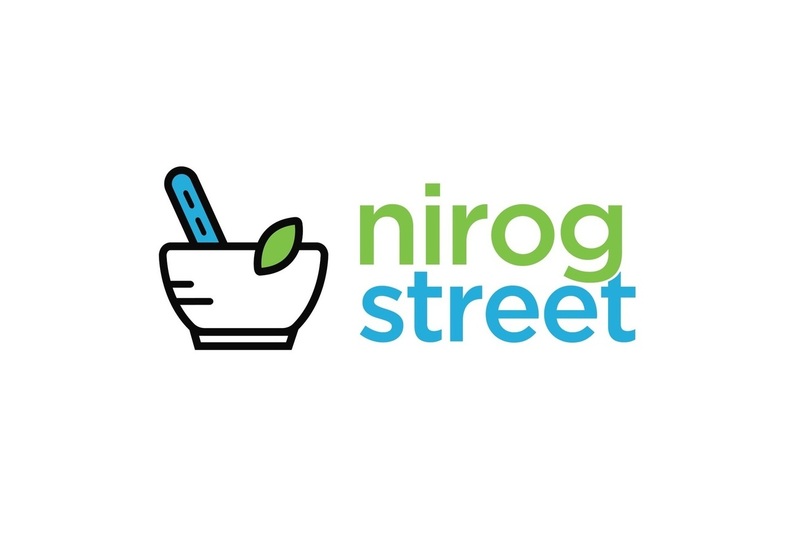 Do you think NirogStreet is making a difference by striving to connect Ayurveda practitioners through dedicated technology platforms? Yes, it is the best step taken by NirogStreet by giving a platform to Ayurveda in such a way so that all the queries can be clarified and Ayurveda can reach many more people. They can get knowledge about Ayurveda from there. It is a great initiation and a necessary footstep toward the golden future of Ayurveda. Keep it up. Oh yes, I like playing the feverishly popular Candy Crush game! On a serious note, i am trying to make some formulations to treat renal patients as my hobby. Once I have significant findings, I will share it with you all. •Adopt Ayurveda •Live long •Live happy •Stay healthy •Say no to steroids •Be mentally fit •Do yoga to avoid stress •Start meditation rather than taking sleeping pills for relaxation and calmness.